Seaside, Beach and Nautical Gifts! "Oh, I Do Like To Be Beside the Seaside" - Wholesale Nautical Gifts! Sparks Gift Wholesalers - Sea Life and Seaside Ornaments - Dolphin Figurines - Boat and Yacht Ornaments - Nautical Ornaments - Mermaids - Beach Themed Photo Frames - Mermaid Giftware - Seaside Design Mugs and Coaster Sets - Ornamental Seaside Gifts - Seaside and Beach Themed Plaques and Signs - Novelty Mermaid Gifts - Available to purchase online for immediate delivery from our Kent gift wholesale trade warehouse. Anchors, Pirate Themed Gifts, Lighthouses, Deckchair, Novelty and Artistic design giftware for Seaside and Beach Gift Shops nationwide. 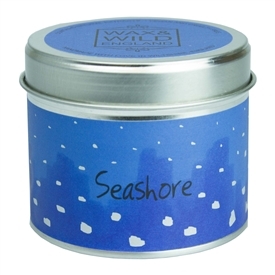 Beach Gift shops in Clacton, Blackpool, Skegness, Margate, Penzance, Newquay, Devon, Dorset, Cornwall and Sussex can source Nautical themed gifts at Sparks Gift Wholesalers. Especially with all those Gorgeous Mermaids swimming ashore! Sandy Toes and Waves of Sunshine, Salty Kisses, Life is so much better at the beach. Nautical themed and design gifts for beach shops, seaside gift outlets and beach gift shops. Fun design Mermaid gifts, Yachts and Boat Ornaments, Yacht and Boat Decorations, Ornamental Mermaid Figurines. Ornamental Dolphin Figurines, Nautical Paperweights, Plaques and Pirates. Sparks Gift Wholesalers are one of the UK's leading suppliers of wholesale gifts to the giftware trade. We stock Anchor shape Ornaments, Boat Design gifts, Lighthouse Design Gifts and Nautical gifts for the home, beach hut and bathroom.